A woman who was told her rare cancer had returned just weeks after getting engaged has been flooded with messages from celebrities including Danny Dyer and Olly Murs. Hope Stringer, 27, was told just weeks after her boyfriend of seven years proposed that her cancer had returned for the third time and spread to her lungs and lymph nodes. The bride-to-be, from Billericay in Essex, is now raising £500,000 for treatment in the US as the NHS are unable to offer her a cure. 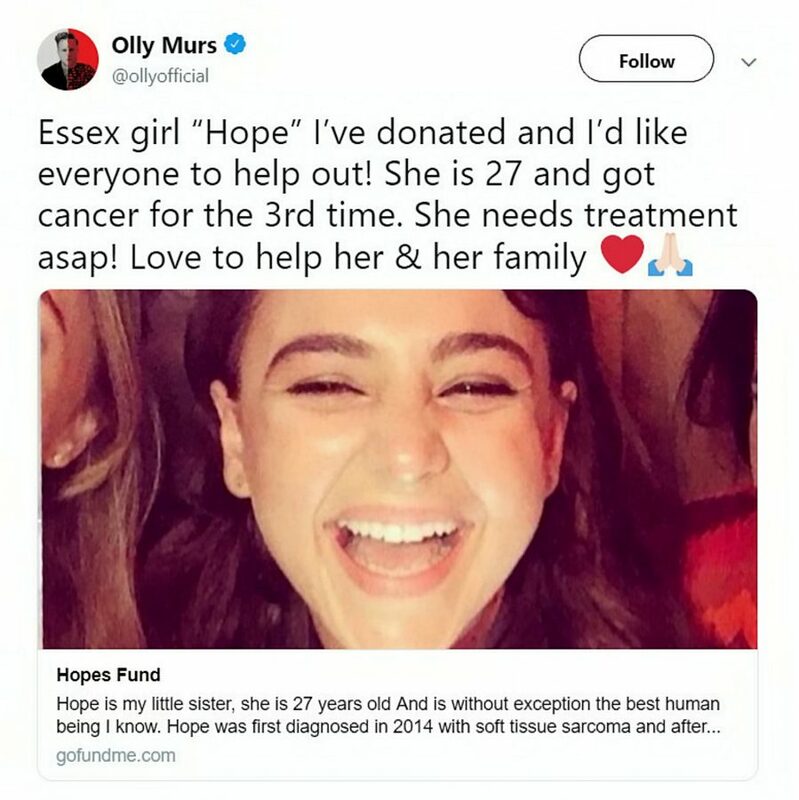 Celebrities have been sending messages of support to the brave 27-year-old – with Essex-born Olly Murs even donating to the fund. Sarcoma is an uncommon cancer and affects any part of the body, including the muscles and bones. Around 15 people a day and 5,300 people a year are diagnosed with sarcoma in the UK. After hearing the news, Hope’s sister Nancy decided to set up a JustGiving page to help raise the money. Nancy described her sister as “the best human being I know” adding that Hope is “the most incredibly strong person you’ll ever meet”. Within the first 72 hours the site was inundated with generous donations and support. The funds came from more than 1,000 supporters, with donations ranging from £5 to £5,000. Hope was first diagnosed with soft tissue sarcoma in 2014 and she underwent two operations, six rounds of chemotherapy and countless sessions of radiotherapy. 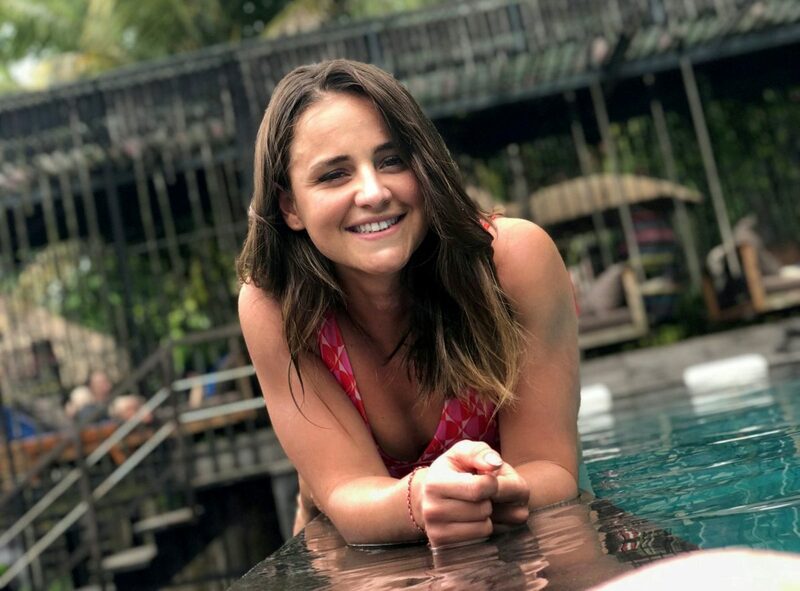 The gym enthusiast first blamed her tiredness and blurred vision on long days at work and a night out with friends before being visiting her GP and discovering it was cancer. During her treatment, Hope wrote a blog about her experience, describing how she “looked like Uncle Fester’s love child” while going through chemotherapy. Following her surgery, Hope entered remission and was on the road to recovery, having scans every three months and then six months. But after her second sixth-month scan on December 10 last year, Hope was told the cancer had returned and spread. Hope was treated by the NHS throughout her first diagnosis but doctors have told her that chemotherapy is now her only option as the tumour is inoperable. The treatment trial in America, which the 27-year-old hope starts in April, specialises in Hope’s type of cancer and offers a drug that will target the tumour. The drug had been discontinued in the US but Hope’s campaign has reopened the trial and she has funded the treatment for herself and six other people. Hope said: “We are funding the trial for six other people as well because it was the only way we could do it. 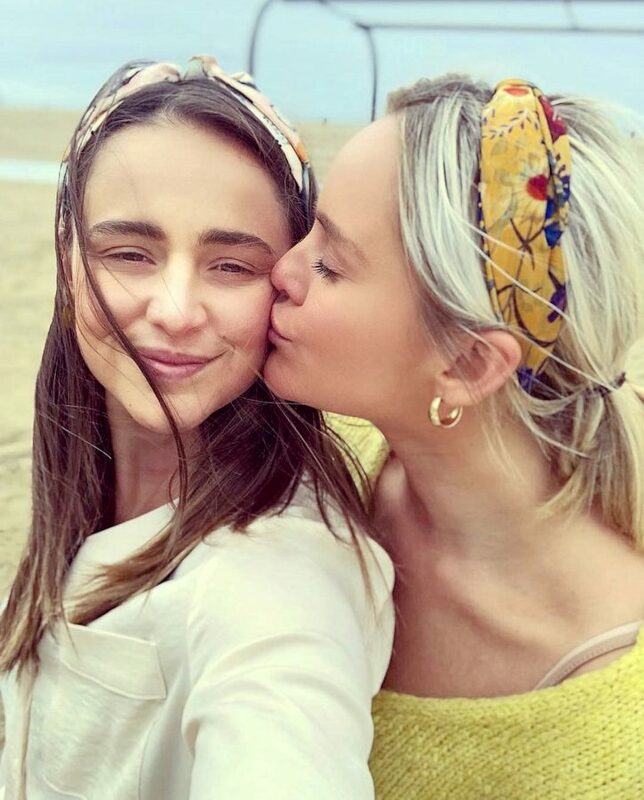 Hope and her fiance, Sean Pearce, will be moving to Santa Monica, California, for the duration of her treatment – which is believed to take around one year. “I just want to get started as soon as possible – the sooner the better. Hope’s campaign has now raised £151,000 and has received donations from more than 3,000 people. The Stringer family previously raised £90,000 for Sarcoma UK. The charity’s chief executive Richard Davidson said he “can’t thank them enough” and wishes Hope all the best with her treatment.